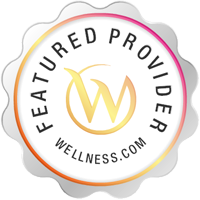 Sharyn Rose is a Psychotherapist and Advanced Certified Clinical Hypnotherapist in Private Practice located at 18 Summit Street Somerville, Massachusetts (MA) 02144. She is also a Relationship/Wellness Coach and sees individuals and couples in a warm and engaging atmosphere. As a leading mediator and advanced certified clinical hypnotherapist in Somerville MA, Sharyn Rose has experience in a variety of areas including relationships, recovery, and the LGBT community. Her main areas of interest are ACOA, couples therapy, women in mid-life, functional/alternative wellness, stress/anxiety, and PTSD. As an experienced and caring holistic practitioner, Sharyn is dedicated to assisting her clients in challenging old behaviors and reframing healthier narratives in their lives moving forward. You may contact Sharyn Rose directly at 617-776-4466. For additional information and to read Sharyn's blogs, please visit www.SharynRoseTherapy.com. "In transitioning into a Private Pay Practice, it brings me great pleasure to work more freely and collaboratively in relationship with my clients, not managed by managed care!" Sliding Scale Willing to work on a sliding scale, depending upon client's financial needs. I have been going to see Sharyn for a few months and am so glad I found her! I have tried a few therapists in the past but Sharyn was the best fit for me. She is able to walk the fine line between compassionate listening and accountability, which I need! She asks thought-provoking questions and I feel like I am able to process in a safe space. I live several towns away but it is worth the drive.